which includes 50-60 lanes for shooters using state of the art technology. end of the second phase the 200,000 square foot project will cover approximately 15 acres. Action Target Inc.
consultant, presented the plans to Jownstown's Planning Commission last month. even refusing to let the police train there or allowing them to expand." state's next largest firearms training facility and sporting center from locating in Loveland. ranges as one of the few places they can still legally discharge firearms. Mayor Afraid of Constituents Owning Guns? 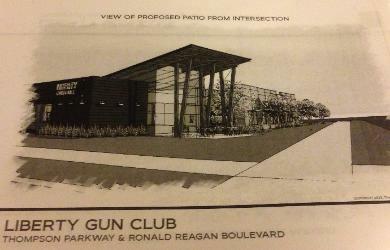 to limit use of the privately operated Front Range Gun Club in east Loveland. and effort by the City of Loveland to identify a desirable tenant.